The historic market town of Sedbergh, with its flagged yards and hidden lanes, is set in the beautiful Yorkshire Dales National Park. The town lies amidst the mighty Howgills, some of Alfred Wainwright’s favourite fells, and has been England’s Booktown since 2006. It now has six bookshops. The largest, Westwood Books, was last year named by The Guardian as one of the top 10 secondhand bookshops in the country. There is a range of other shops including Steadmans, North of England’s Butchers Shop of the Year. For those who like to explore, there are many narrow lanes and small clusters of old dwellings, and there is a fine Norman Church, St Andrew’s. Overlooking the town is the site of Castlehaw, an ancient motte and bailey castle. At the end of May the roads round Sedbergh are full of processions of old fashioned horse drawn caravans on their way to Appleby Horse Fair. 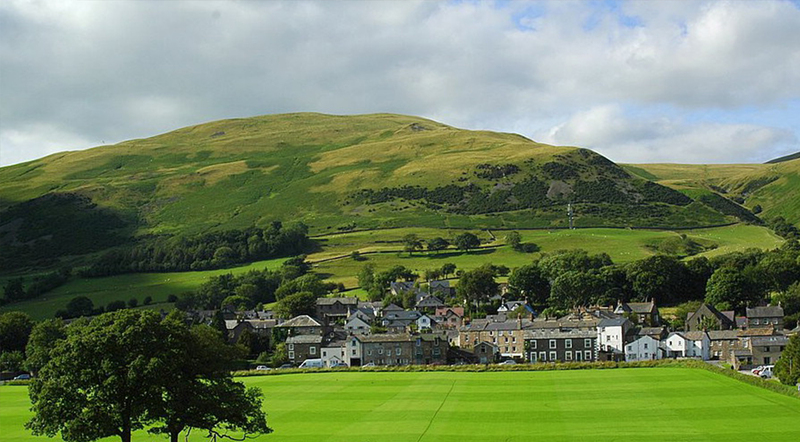 Sedbergh is also famous for its public school. George Fox, founder of the Quakers, in 1652 preached in both St. Andrews churchyard and to a congregation of a thousand from a large rock on the fellside now known as Fox’s Pulpit. The nearby Brigflatts Quaker Meeting House dates from 1675. For the serious walker there are the Howgill Fells and the Dales Way walk. And for those who prefer more level ground, there are several footpaths along the banks of the River Rawthey. Five miles east of Sedbergh is Cautley Spout, a plunging cascade which falls some 200 metres down Cautley Crag to the River Rawthey. Only half a mile from Sedbergh is Farfield Mill, a vibrant arts and heritage centre in a restored Victorian woollen mill. It houses heritage displays, working looms, exhibitions, craft demonstrations, art and craft for sale, and its own Weavers Café.